"I realized his eyes had lost that wary look. They were the bluest blue. Bluer than my favorite coffee mug. Bluer than the Solonaise County Public Pool when it’s actually been cleaned at the beginning of the summer before all those little kids in their floaties come and pee in it. 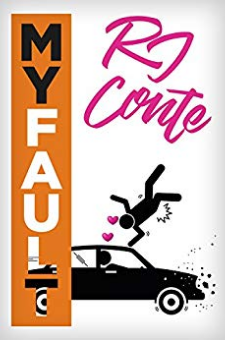 "Quirky Cleo Stanton has a problem: she's falling for the guy she ran over with her car when she should not have been driving.A devout Christian and quietly mysterious, Grayson Fox is as cute as he is kind, begrudgingly putting up with Cleo and her motor mouth. But will he ever forgive her for crushing his leg? Can she break him out of his shell? And what hilarity will ensue when the flamboyant Cleo tries to draw him out?